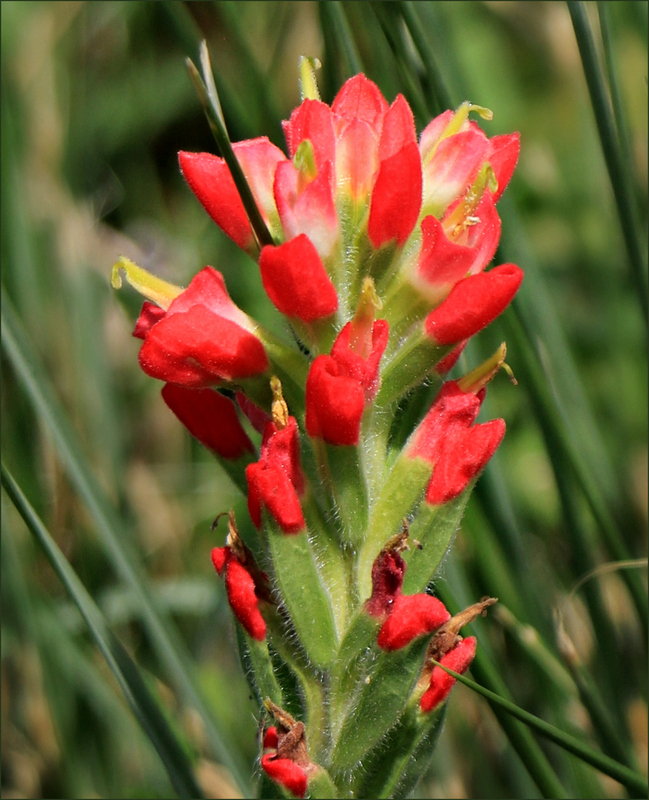 Together with the bluebonnet and pink evening primrose, Indian paintbrush (Castilleja indivisa) is a traditional sign of spring across Texas. Sometimes the flowers appear as early as February. In other years, they may dally until April or May, depending on the weather. Given the plants’ reputation as a spring wildflower, I was surprised to find a substantial patch in bloom at the Brazoria Wildlife Refuge on July 22. Wildflowers can be unpredictable, of course. There had been some rain, and I supposed the moisture might have led to some seasonal confusion for the plants. But when I returned a week later, even more paintbrush were blooming, and young plants were scattered along several roads. Then came a second surprise. Consulting my new favorite field guide, Michael Eason’s Wildflowers of Texas, I found Indian paintbrush described as both a spring and summer bloomer. Why Eason extended the flower’s bloom time into the summer months I can’t say, but these plants, at least, suggest he was right to do so. 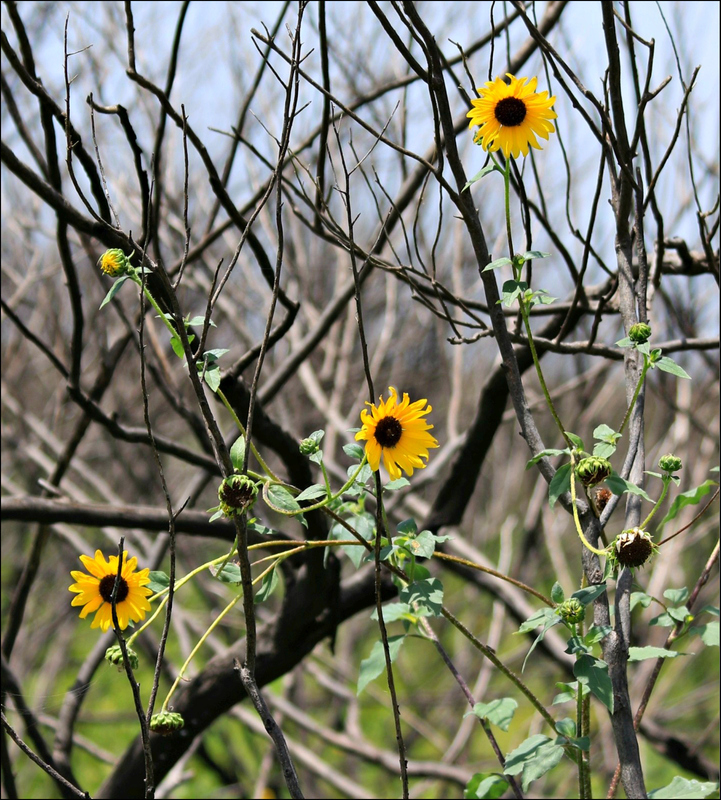 Cheerful and opportunistic, these sunflowers (Helianthus annuus) at the Brazoria Wildlife Refuge found the fire-blackened limbs of some neighboring trees perfect for climbing. A few weeks earlier, a prescribed burn had consumed the grasses and shrubs surrounding the trees, even as it scorched their bark and stripped away their leaves. Still, some newly sprouted sunflowers recognized the skeletal remains for what they were: an unexpected opportunity to imitate the vines they’d always envied. Their trellis may have been charred, but it supported them perfectly. Flannery O’Connor’s conviction that “the writer should never be ashamed of staring; there is nothing that does not require his attention,” applies equally well to botanists. Whatever the truth of the story, when it came to the flora of Texas, Lindheimer’s propensity to stare served him well. In 1839-1840, he visited George Engelmann, a friend from Frankfurt who’d settled in St. Louis. 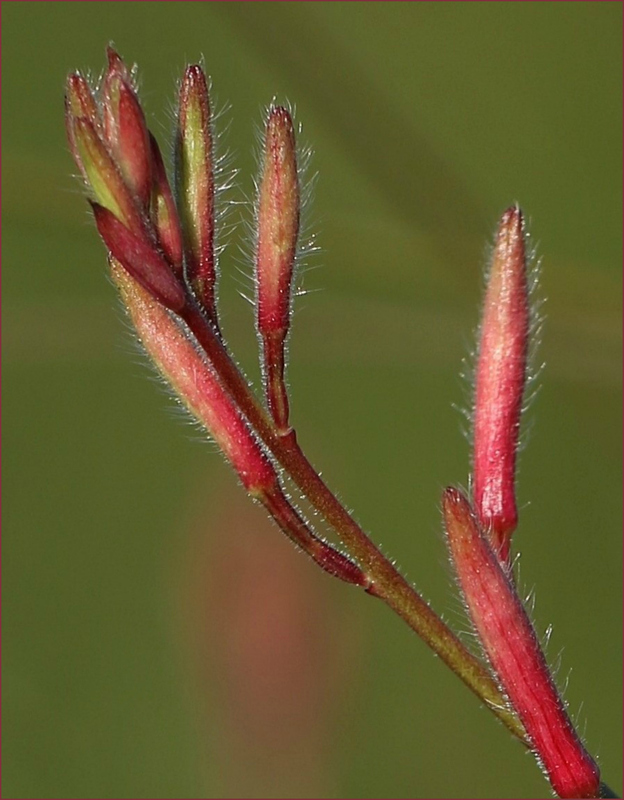 After seeing the samples of Texas plants Lindheimer brought with him, Engelmann mentioned his work to Asa Gray, founder of the Gray Herbarium at Harvard University and author of Gray’s Manual of the Botany of the Northern United States. Gray was impressed, and interested. Over the next years, Lindheimer provided Engleman and Gray with thousands of specimens, and left us a correspondence rich in references to discoveries made as he roamed Texas. 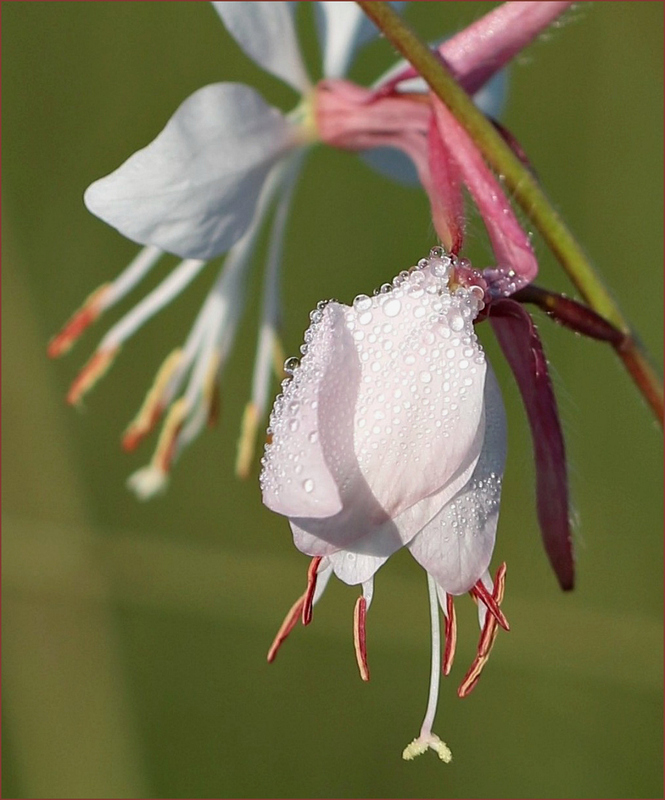 Today, nothing delights me quite so much as finding one of the plants that bears his name, like this pretty Gaura (Oenothera lindheimeri), and then finding it mentioned in Lindheimer’s own letters to Englemann.